Who is “The Grumpy Marketing Guy”? First Colony Chardonnay Reserve – This complex chardonnay was aged for eighteen months in a combination of new American and neutral French oak barrels. Appearance darker straw color Aroma: lemon peel, vanilla Attack: Subtle with undertones of spice Midpalate expands nicely to expose vanilla and pear elements, Finish lingers nicely with almonds and a touch of butter. Horton 2011 Petit Manseng – Petit Manseng, famous in southwestern France for being the only wine used to baptize a royal child, namely Henry IV, has shown to be the perfect grape for the Central Virginia winegrowing region. Appearance: darker straw Aroma: honey suckle, rose pedals, Attack: rounded with good acidic balance Midpalate is round with toasted hazelnuts and acacia blossom, enhanced by a touch of guava and vanilla. Democracy Vineyards 2011 Republic -100% Petit Manseng Apperance: Clean straw, Aroma: Green Apple Honey Dew, Attack: Bright with grape overtones Midpalate apricot and other tropical notes, Finish: Light does not linger but is clean. James River 2011 Chardonel –Chardonel is a cold hearty hybrid created at Cornell University in 1953. Parent grapes are Chardonnay and Seyval. Stainless steel fermented. Appearance: light straw, Aroma: spicy bananas Attack: sharp with tropical undertones midpalate expands slightly to include honeydew melon and honeysuckle Finish is brief but clean. Stone Mountain Bacon Hollow Revenuers Select – Built in this iteration from Chardonnay, this sweet wine is the wineries best seller. Appearance: light straw Aroma: honeysuckle and rose pedals, Attack bright with good acidic balance Midpalate expands to expose peaches and pear undertones finish: sweet but brief including additional floral and tropical tones. Breaux 2011 Rose’ – 54% Nebbiolo, 34% Cabernet Sauvignon, and 12% Chambourcin appearance is medium to light red, Aroma: Strawberry, Rhubarb, Attack Sharp with nice acid, Midpalate expands with tropical notes and cherry Finish is surprisingly tannic in structure but not in astringency. The most interesting wine I have tasted this year. 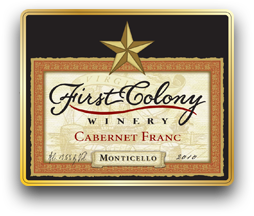 First Colony 2010 Cabernet Sauvignon – A vintage difference and a difference in altitude create a different (but equally good) flavor profile in First Colony’s Cabernet Sauvignon. Appearance: darker red in the glass Aroma: vanilla and cherry Attack: Supple with cherry notes Midpalate: expands to showcase well-balanced flavors of rich cocoa and toasty oak Finish: full lingers nicely with just a hint of pipe tobacco. Appearance: Deep red Aroma: Plum with Black Cherry and coca undertones, Attack- lush with nice round mouth feel, Midpalate expands to expose layers of flavors including plum, black cherry, dark chocolate Finish: Not as long as anticipated but delightful with hints of smoke. Ever wonder what it’s like to be a wine judge? To have each award winning wine tasting brought directly to your table for your palate’s evaluation?Find out in the “You Be The Judge” Tasting Tent at the Virginia Wine Festival. This ticket limited event will be held from 11:30am – 4:30pm on Saturday and Sunday. Neil Williamson, Chairman of The Virginia Wine Club Tasting Panel, will walk patrons through the UC Davis scoring system as the wines are served by varietal. Neil will share anecdotes from his decade in the Virginia Wine Industry as you enjoy the cool shade of the “You Be The Judge” Tasting Tent. Spend part or all of the day in the shade enjoying the individualized presentations and tastings with no lines and no waiting. 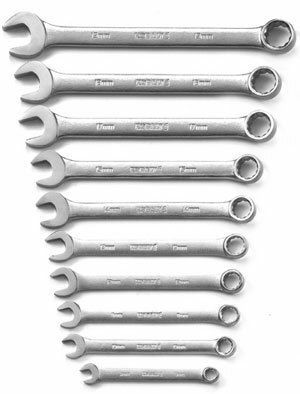 Imagine walking into a home improvement store and all of the hardware and tools were only available in metric sizes. In this example it is clear the home supply store is ignoring a significant potential market that demands US/Imperial tools. Now look at your wine portfolio, does it reflect consumer demand or the owner’s personal preferences. Often when I am meeting with new winery owners they have a limited scope of their wine portfolio. In every case, I ask, beg, cajole them to include at least one “sweet” wine. Interestingly, when clients take this advice, it almost always becomes their best seller. Why? As your winery will likely offer a number of dry wines for the roughly 50% of the wine drinking public that prefers a dry wine and you force the sweet wine drinker to choose the one wine you have made for that population cohort. Recently my vision on this was tested by my philosophical position regarding be true to your identity. I was chatting up a Virginia winery owner about his vision for his new wine portfolio. He did not like sweet wines but recognized the consumer demand for such product, his decision was not to make a wine that he would not drink but to make it at the far edge of his sweetness tolerance. The resulting 1% residual sugar wine is consistent with his winery vision (and palate) while providing a sweeter wine for that percentage of the wine consuming public that only buys sweet wines. Master of Wine Tim Hanni (who spoke at a number of Virginia Wineries Association seminars this year) has written a treatise on Why Wineries Owe Sweet Wine Drinkers and Apology. Hanni draws on recent research indicating that people are genetically predisposed to prefer sweeter wines based on the arrangement of their taste buds on their tongue. In the end your wine portfolio should represent not only who you are but also who your customers are; if you only make wine you like, you may ignore significant potential consumers and sales! That’s why I am sweet on your wine portfolio! Over the past couple of years there has been a great discussion about where wines in tasting rooms should be priced. There are some who believe the tasting room is like a “factory outlet” store and should have the lowest prices anywhere. Based on the title of this post you can see that I fall in a different camp. If you have your wines in distribution, whether you are distributing them yourself or not, the retailers are a primary sales channel. The retailers are your partners. Why would you undercut your partners? The shop owner perspective – When you, or your distributor attempt to place the wine with a wine shop (or grocery chain) price will be a key issue. If you are a local winery you may have a leg up on getting attention but one of the first questions will be “What do you sell it for at the winery”. In the shop owner discussion you are competing with every other wine that is available in distribution. 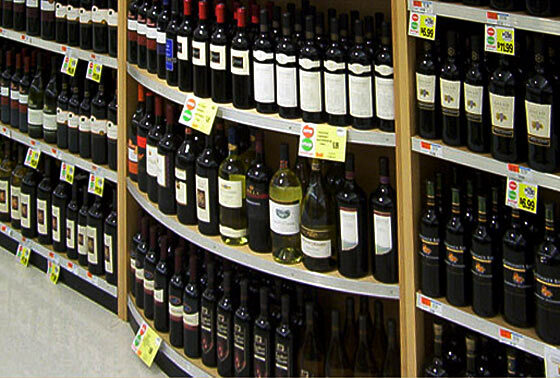 If you are 5 miles away and selling the wine $3 cheaper than he/she can, why should you get a placement in the shop? The customer perspective – In the retail shop, your wine must compete with all the other wine in the establishment. If a customer has been a guest at your winery and purchased your Chardonnay for $21 and sees it at their “regular” wine shop at $17.99, they perceive increased value, as they enjoyed the Chardonnay at $21. The Grumpy Marketing Guy perspective – Wine purchased at the winery provides the winery three profit margins (producer, distributor, retail). If we accept that guests that visit the winery like wine (not a big leap) and regularly shop for wine somewhere other than the winery, then capturing all three profit margins maintains your pricing integrity in all channels. In addition, it helps build credibility with your retail partners. It is important to recognizing winery guests are wine lovers who have a variety of only your wines to choose from during their visit but its all your wine. Multiple bottle/Case discounts – just as your retail partners have such discounts you should as well usually at 3, 6 and 12 bottle increments. Inventory Issues – there are times when a wine does not move in the market and you have a significant inventory, creating a special price for such wines as needed is a great idea. Festival Pricing – I encourage wineries to play with their pricing at festivals. If you are sold out of a wine at the last festival, bump it up a $1 a bottle see if it still sells out. If something was a slow mover drop the price $2 as a festival special. Wine prices at the winery should be designed to recognize the significant capital costs you have in the winery and to capture the maximum revenue the market will bear. Wine Festivals – Marketing Goldmine, Necessary Evil or Simple Drunkfest? Anyone that has been paying attention over the last twenty years has witnessed the growth of the wine festival. The bulk of this post will focus on Virginia wine festivals but I have seen similar patterns in other states as well. As a disclaimer, I have created festivals, worked with festival promoters, been a festival attendee and been an exhibiting winery. One truth at the outset — All festivals are not created equal. Back in the Industry’s early days, wine festivals were the hot spot to find the new wine meet the wine makers and hear good music (all of this is still true). In addition these festivals were hugely profitable for the wineries because people would come and buy cases of Virginia wine that were not available at their local stores. Does this mean festivals are no longer a good idea for consumers or wineries — absolutely not but how both consumers and wineries approach festivals should change. In addition smart festival promoters are differentiating their festivals with additional programming, unique locations, and special top-notch entertainment and promotion. First, consumers should change their methodology at a festival. Rather than heading toward either the first tent or your favorite, I encourage festival goers to “start in the back and work forward”. Seek out those wineries you don’t know before you head back to your well known favorites. Secondarily, eat — trust me you need to eat. After over a decade in the wine business, I can tell you the sun and the wine will catch up with you. Finally and most importantly buy. The wineries have come to the festival to sell you wine. Don’t ask where you can buy it — look at the cases stacked behind the taster — you can buy the wine here! The wineries need to be more selective about their pours. Knowing you are headed to a festival where a number of wineries will be pouring do you think it is wise to bring all 14 of your wines? An interesting study mentioned in Malcolm Gladwell’s book Blink tested consumers provided four options of jelly to taste versus 12 options of jellies to taste — which portfolio sold more? The one with only 4 choices. Take a good look at your wine inventory and determine which wines you can afford to pour and sell at festival. In addition, after two years of festival going, wineries should take a good hard look at their festival profitability, not all festivals make money but those that cost a bunch should be considered for discontinuation. Finally, the promoters must recognize two important realities first the people come to the festival for the wine so be really nice to the wineries and make it easy for them. Secondarily, that the days of throwing a wine party in the field and having any crowd come are long gone. You need to have a hook, a solid marketing plan (including social media), as well as hope for good weather. Festivals are an important part of the Virginia wine business. In addition to being a solid sales/marketing opportunity it also draws the industry together in a unique way. You will never forget who was near you when the Tornado Warning came down from the hill or what wineries made it to the convention room floor despite over a foot of snow. Above all else, all involved in wine festivals need to have a can do attitude and recognize that whether the event is like a Super Bowl winning team or the voyage of the Titanic, we are all in this together. Wine Distributors – Friend or Foe? There are a least two divergent views regarding distributors in the wine business. While the first group can’t stand them and sees them as the enemy, the second group could not accomplish their business objectives without their existence. Which winery is in which group tends to focus on the ownership’s previous business experience, the winery sales objectives as well as the winery’s geographical footprint. All of this ties back to the end of prohibition and the creation of the “three tier system” of alcohol beverage control. The only consistency, really, is the three-tier system, which exists in some form in every state. In the three-tier system, consumers (with some exceptions) must buy wine from retailers (or restaurants), who must buy from wholesale distributors, who buy from the producers. Retailers can’t buy direct from the winery and consumers mostly can’t either. Say what you will about the system, says Blau, but in 1933, when state officials were looking for a way to regulate alcohol after Prohibition, it was the best thing they could find. And, since then, it has done what they wanted it to do—made it easier to collect taxes, to regulate alcohol sales, and to prevent the corruption and abuses that existed between manufacturers and retailers before and during Prohibition. Considering the importance of the three tier system to their business their defense of it makes perfect sense. In Virginia, a well crafted compromise has emerged. Farm Wineries (a legal distinction in Virginia) are permitted to use a “co-op” distributorship that is virtual in nature. Orders are placed on the distributor web site and the winery delivers the wine, collects the payment and sends the payment to the virtual distributor who cuts a check on a monthly basis. This option is available to wineries under 3,000 cases in the market. My experience has been that most distributors are not terribly interested in wineries under the 3,000 case level because they are historically unreliable. Don’t take that the wrong way, it just is under that level (and often above that level) vintages run out before the next vintage is ready placing the distributor in a position where they will likely lose a placement for lack of wine. I also have found as wineries reach the 3,000 case level, it becomes increasingly difficult to self distribute. In Virginia, as in many states, you can not peddle wine; you must order wine and deliver in another visit after orders have been placed into the system. Even if your winery is limiting the distribution to a 100 mile radius around the winery, that still a a great deal of ground to cover especially when one account in the southwest territory needs 6 bottles and one account in the northwest corner has an order for a case. Now, that you know I believe distributors are winery friends, I have to fix a myth in the industry. There are some that believe “Now that I have a distributor, I don’t have to work outside accounts, that’s why I’m paying the distributor”. That’s a recipe for low sales for the winery. In order to achieve their scale, the distributor represents a number of different labels. The job now increases in complexity, not only do you have to get the account excited about your brand, you have to get your distribution sales team fired up as well. All in all, self distribution works to a certain level but working with distributors is a net positive step that can help a winery grow exponentially. How Does Push Marketing Impact The Virginia Wine Business? One of the many distinctions in marketing is push versus pull marketing. Push marketing focuses on getting the product “pushed” out your cellar door. Pull marketing focuses on getting consumers to “pull” your product off the shelf. Distributor promotions (see below) are an example of push marketing while coupons are a good example of pull marketing. So where does Virginia wine fit into this picture? Well, there is a need for this chart to include the three tier system where many wineries are represented by wholesale distributors this adds another layer for between the manufacturer and the retailer. This presents the opportunity to push to the wholesaler as well as the retailer. As an overarching marketing theme, Virginia wine must continue to develop brand identity to differentiate itself as a brand rather than “Wine” as a commodity. Long before George Foreman started selling countertop grills he unsuccessfully attempted to market his own branded milk (then and now a commodity). His pull strategy was to look into the then new TV viewing audience and tell potential consumers, fist raised, to go to their grocer and demand that they carry George Foreman milk. Virginia is headed in the right direction when it focuses its significant marketing and advertising budget on the wine press in the US and especially in Virginia. While getting wine placed in the Whole Foods Markets in Kensington, London is a solid news story – I would like to see more Virginia wine in the Whole Foods Markets in Virginia as well! In most cases once a winery reaches a certain production level, it makes economic sense to work with a distributor. Some wineries are amazed that they are still required to work sales once they have a distributor – this is a fatal flaw. Distributor relationships are like all relationships they require work, a push marketing campaign. Wineries are wise to remember that a distributor is only as good as the wines in its “book”. Some distributor books are more like the phone book for the number of wines they represent, this is not a critique merely a statement of fact. How do you make your wine stand out . #1 have great wine #2 is “push” marketing. Don’t bother with #2 if you have not accomplished #1. A few years back, First Colony Winery, was looking to excite their distributor sales team and therefore increase their sales. But the fall campaign concept needed a hook. As the client label featured a large silver star near the top, we built a promotion around the Redskins Cowboys football game. The top sales representative received two tickets to the game, a hotel room and a voucher for a dinner at one of the restaurants carrying their wines. The competition was fierce and in the end sales were significantly increased year over year. It is important to remember that a pull marketing campaign, or even an awareness campaign can be used as leverage for a push marketing campaign. If a winery is planning a brand building marketing campaign, they would be wise to inform its distributors and its retail partners to better position advance sales. Only if the product is on the shelf can a pull marketing strategy work. Is Your Social Marketing So-So? Is there Passion in Your Product?